Hello! 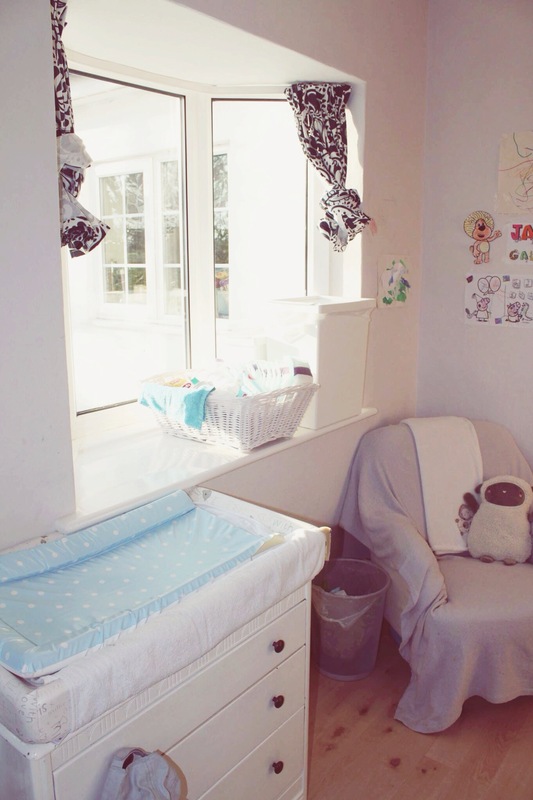 I thought I’d share a few photos of Jax’s bedroom, in case you fancied a nose! 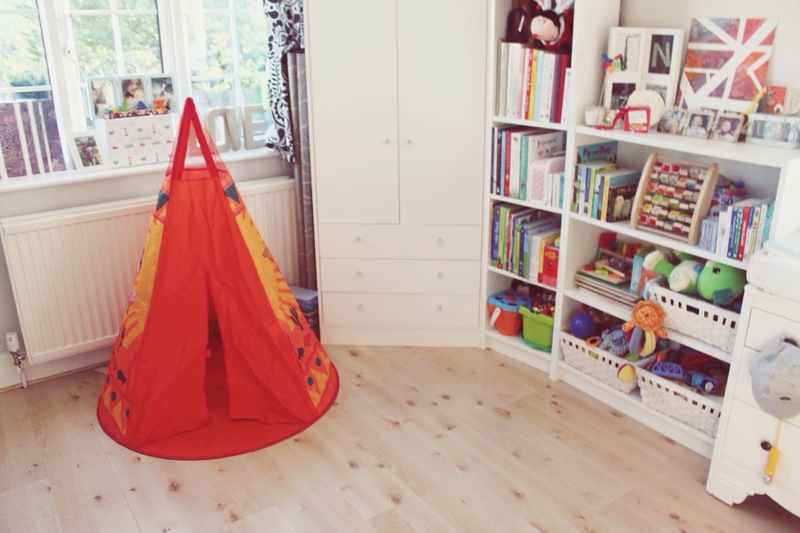 Jax’s room used to be Ole’s dad’s study – hence the wood flooring – which I’d love to change, but there’s that thing called money – which I don’t have much of… So wood flooring it is! I guess wood is easy to clean though so there’s pros and cons! 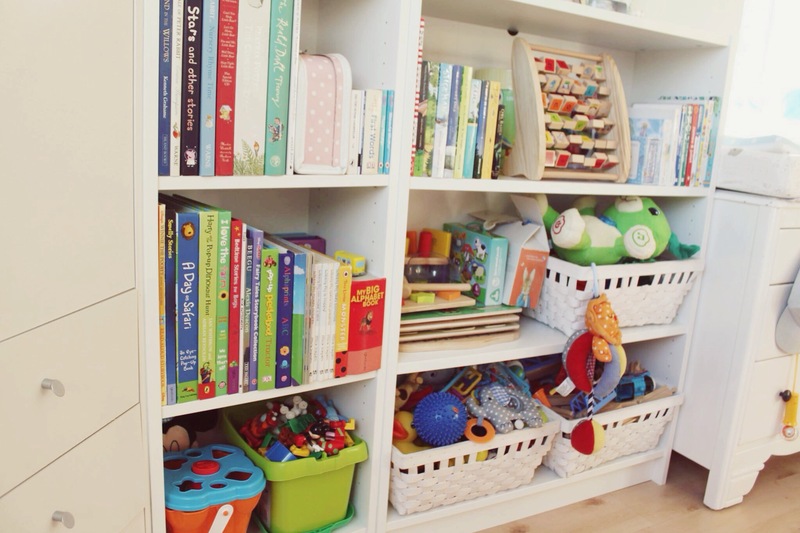 It’s also a brilliant sized room for a toddler, whilst keeping my OCD to a minimum because I don’t have to worry about lack of space. 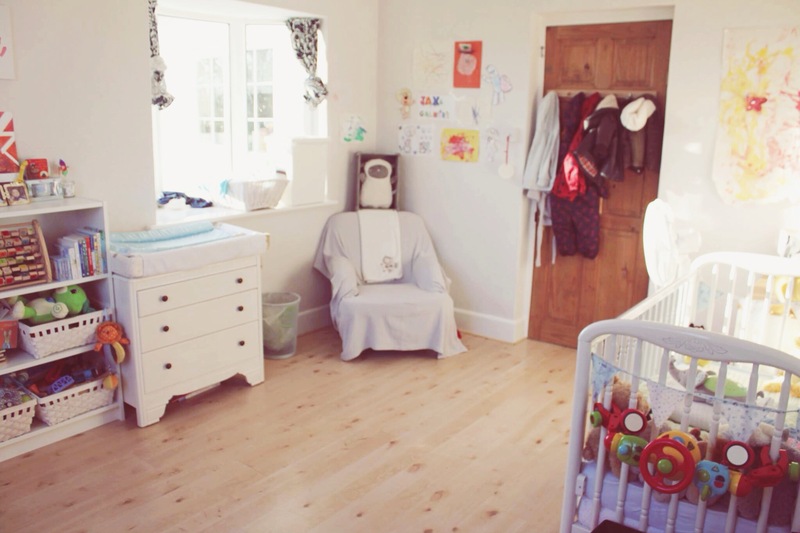 Here’s some photos of his bedroom! 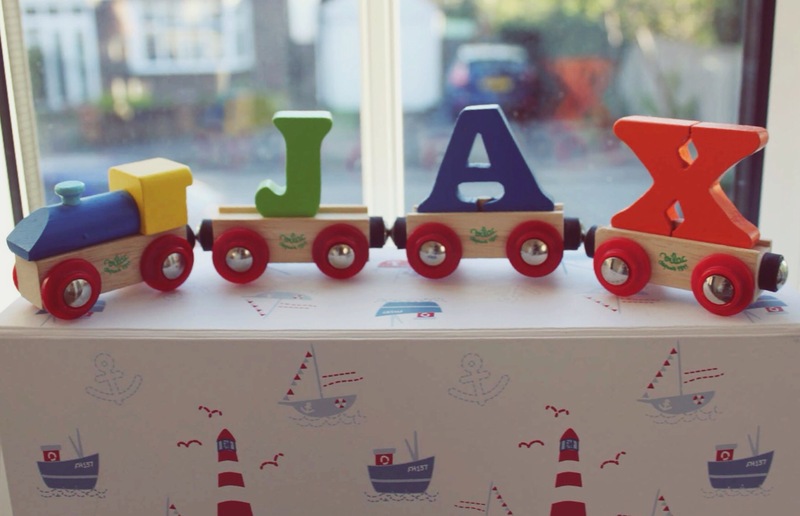 We got this beautiful wooden train with Jax’s name on as a gift after he was born. I think it’s so unique & Jax loves it! 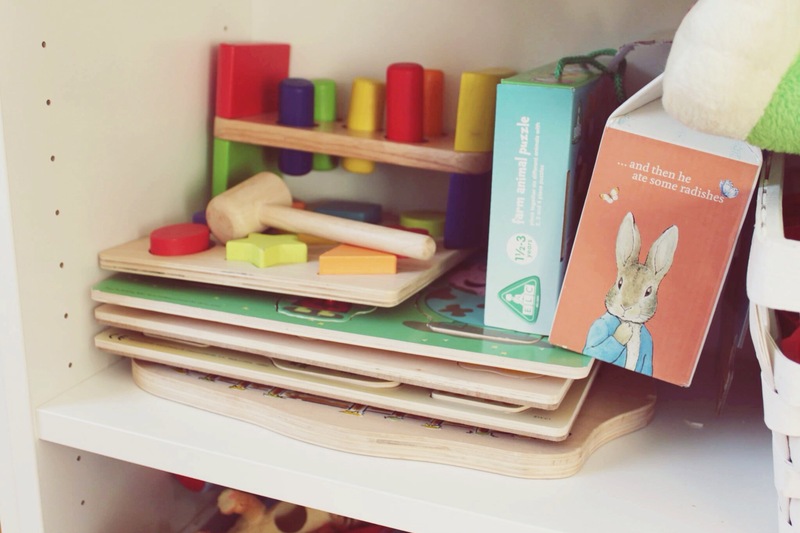 Jax’s book & toy shelves that I’m very OCD about – e.g. The duplo that came in the green box at the bottom is not allowed to be mixed with the duplo in the top right basket because they’re not part of the same duplo! Crazy I know but true right? 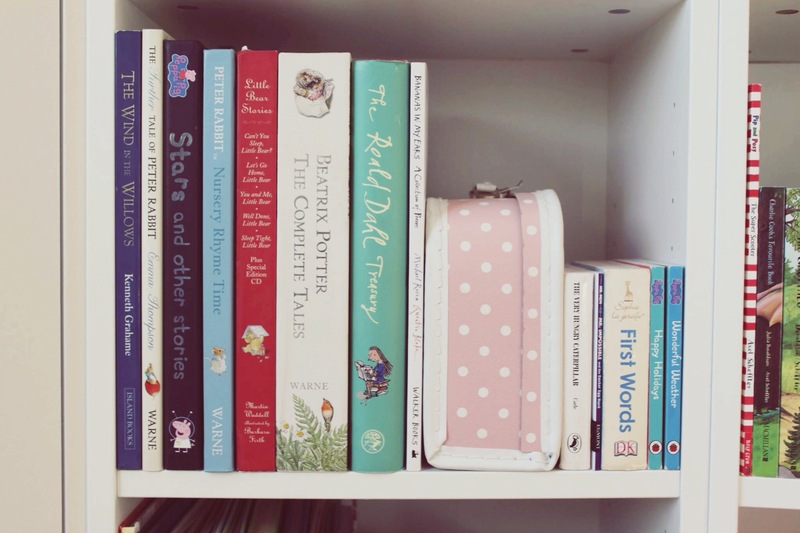 (Shelves from Ikea – both called ‘Billy’ I believe! Cheap and cheerful! Baskets also from Ikea). Jax’s ‘special books’ part of the shelf – harbouring ‘The Wind In The Willows’, ‘The Further Tale of Peter Rabbit’, ‘Stars and Other Stories’, ‘Peter Rabbits Nursery Rhymes’, ‘Little Bear Stories’, ‘Beatrix Potter – The Complete Tales’, ‘The Roald Dahl Treasury’ and ‘Bananas In My Ears’. Jax loves his new teepee! Jax’s changing area! I definitely need to buy a new changing mat as we’ve had this one since Jax was born! Jax’s Gallery and Armchair where we read him his bedtime stories! Jax loves anything creative and instead of putting them in a box, I thought I’d put them up for him & everyone else to see! I am planning on framing them all but haven’t got round to it yet! Jax’s Easter cushion I bought him! 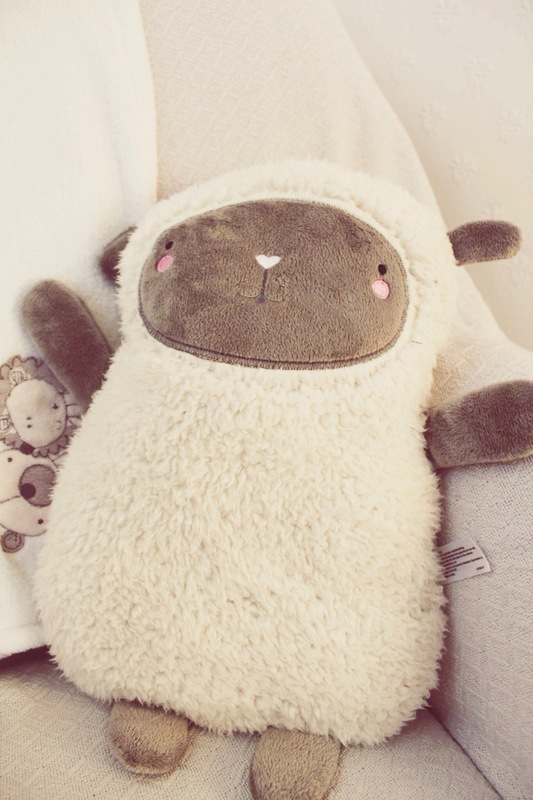 So cute and fleecy and soft. 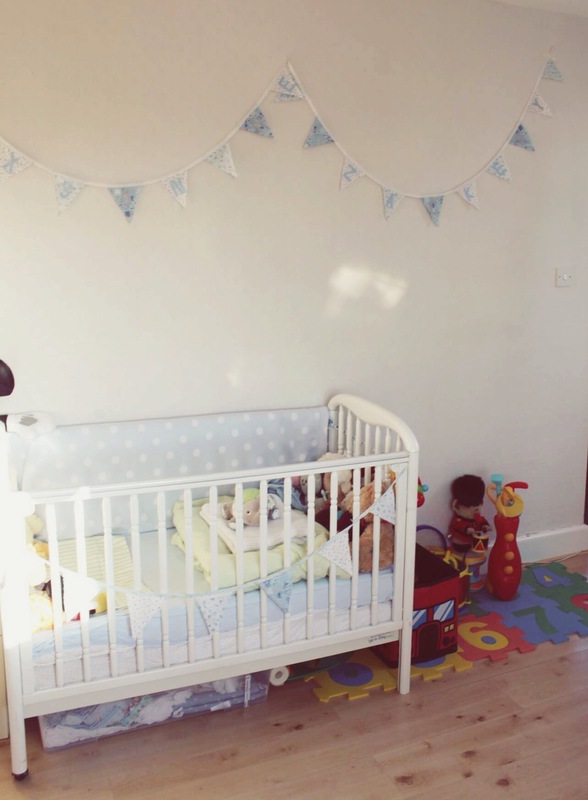 Jax’s cot; currently on the blue & green cycle haha! 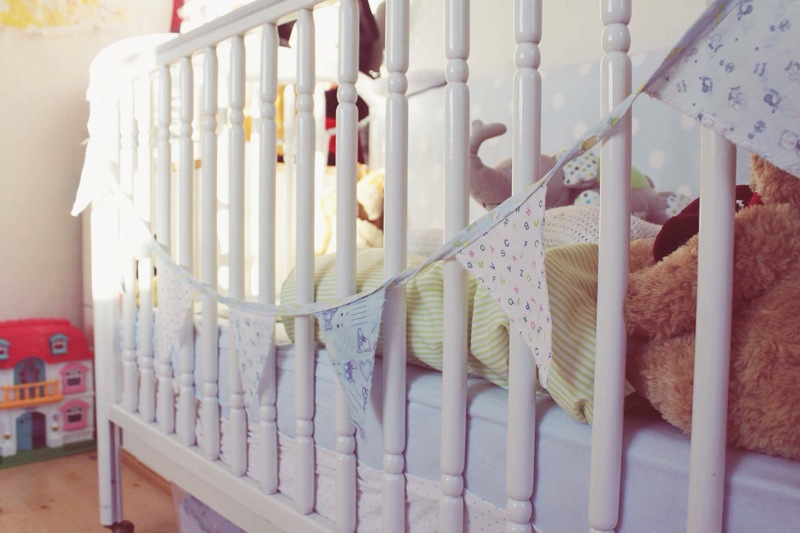 Homemade bunting on and above his cot. 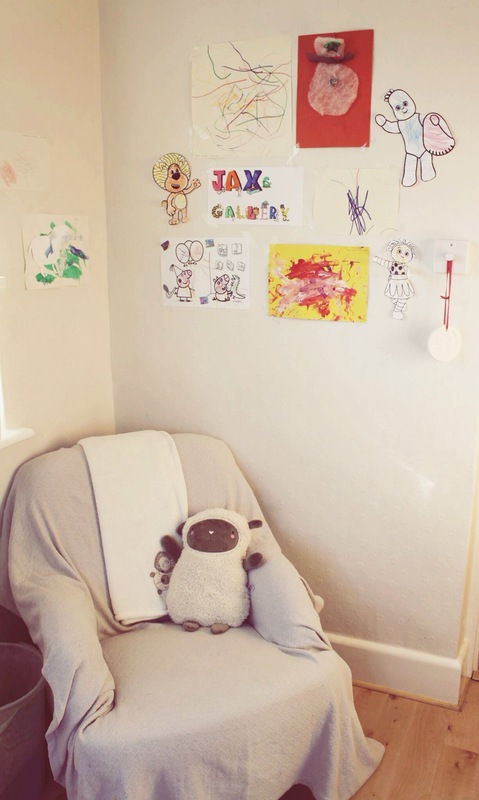 The one on the wall has the letters to his name on each flag – ‘Jaxson Neo Zackery’. 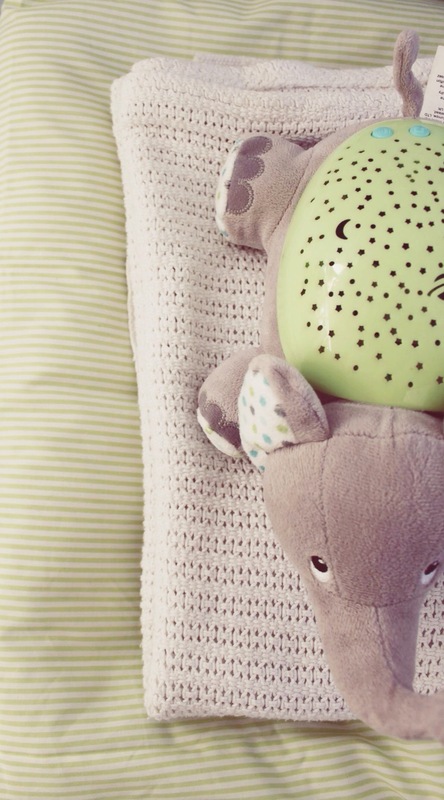 To the left is his stereo and lava lamp – he listens to lullabies at night time. Jax’s covers he has at night; a duvet and a cellular blaket! He also loves his elephant projector light! 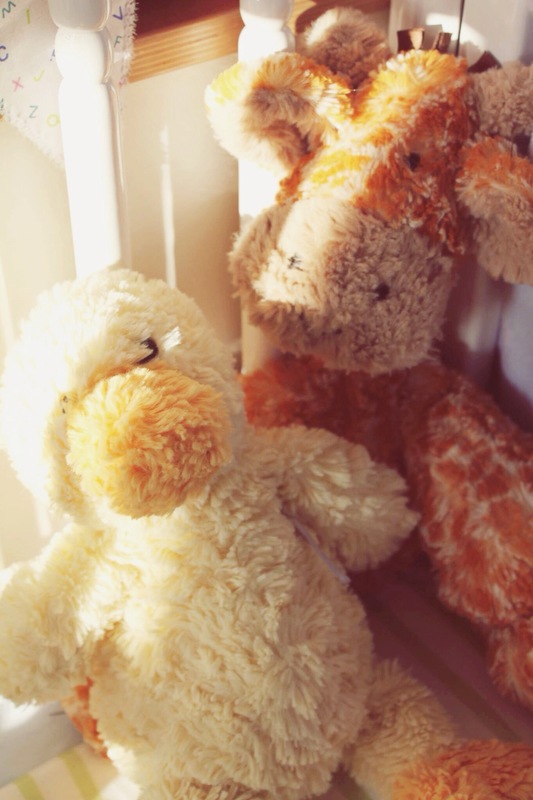 Jax’s favourite teddies to sleep with! He also sleeps with a Mickey Mouse which he loves. Feel free to ask any questions if I’ve missed something! Previous postMy Tasty Tikka Masala Recipe! Next postJax Update: 20 Months!